This outstanding example of a 2003 Lexus GX 470 DVD - 3RD ROW is offered by Okaz Motors. 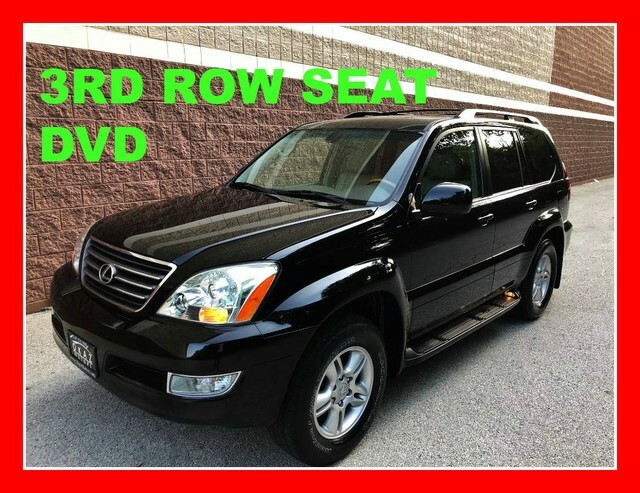 If you're in the market for an incredible SUV -- and value on-the-road comfort and manners more than ultimate off-road prowess or tow capacity -- you'll definitely want to check out this Lexus GX 470 DVD - 3RD ROW. Simply put, this Four Wheel Drive is engineered with higher standards. Enjoy improved steering, superior acceleration, and increased stability and safety while driving this 4WD Lexus GX 470 DVD - 3RD ROW. Added comfort with contemporary style is the leather interior to heighten the quality and craftsmanship for the Lexus GX 470 Looking for a Lexus GX 470 that is in great condition inside and out? Take a look at this beauty. This 2003 Lexus is a unique find -- pair it with a Rear Entertainment Package and you have hit the jackpot.